Latest football news emerging over the last 24 hours seems to have given some insight into the delay behind Antonio Conte being appointed Real Madrid manager. The former Chelsea boss had looked the clear favourite for the position this time yesterday as it became ever more obvious Julen Lopetegui was about to lose his job. The Spanish tactician has since been officially dismissed by Real after a dreadful start to the season, culminating in the club’s embarrassing 5-1 El Clasico defeat to Barcelona at the weekend. Santiago Solari has been placed in charge temporarily, with various reasons given for Conte’s appointment at Madrid being delayed. One claim comes from Spanish publication Marca, with translation by the Metro, stating that Conte’s big transfer demands may be delaying things. The report states the 49-year-old wants to sign a top defender and striker to fit into the kind of team he wants to build, with three at the back a priority for him as it was at Chelsea. Madrid have not exactly splashed the cash much in recent times so it may be that they’re currently unable to meet Conte’s demands. It’s well known the ex-Blues boss can be a bit demanding in this department, with rows over signings plaguing his second season at Stamford Bridge, among other things as reported by Goal and others. 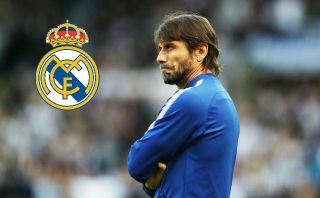 As well as transfers being an issue, the Independent are among the outlets reporting that senior Madrid players may be unsure about hiring Conte. The former Juventus manager is an extremely intense and demanding coach, with his methods working brilliantly at first at Chelsea before wearing thin. It may be that this slightly pampered superstar reputation at the Bernabeu means this group of players wouldn’t respond at all well to Conte’s methods. That said, some would argue it’s exactly what’s needed after this dire start to the 2018/19 campaign. And finally, one major twist could be that Conte has his eyes on other jobs as well, with the Manchester Evening News quoting a source close to the manager as saying he’s interested in potentially replacing Jose Mourinho at Old Trafford. Jose Mourinho to be replaced by Antonio Conte again? The Red Devils have not made a great start to this season themselves, and while Mourinho has not yet been sacked, unlike Lopetegui, question-marks over his future have been making the headlines for much of the season so far. Conte seems an ideal upgrade for United, and it may be that the former Italy boss wouldn’t mind another stab at working in the Premier League after a league title and FA Cup win in just two years at Chelsea.